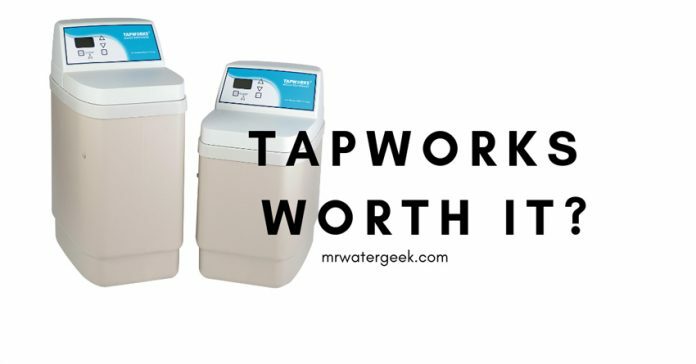 Tapworks Softener Review: Is It Really WORTH The Cost? 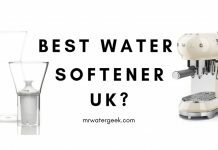 Home Water Softeners Water Softener Filter Reviews UK Tapworks Softener Review: Is It Really WORTH The Cost? 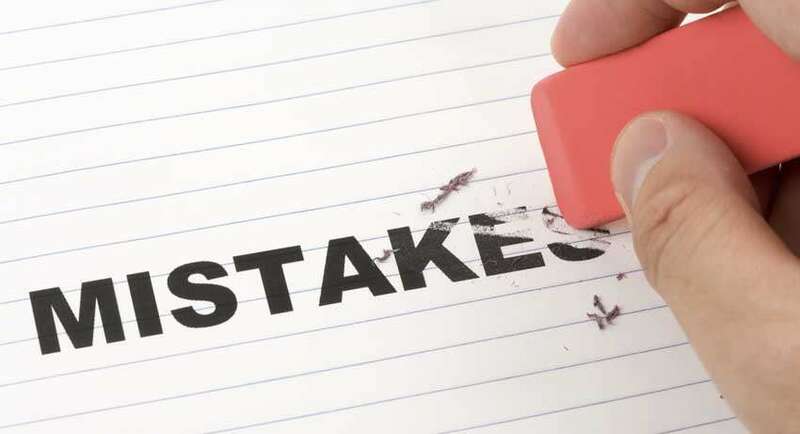 Before getting into your Tapworks Softener Review let’s look at why you might need to get one in the first place: to remove hard water and make it soft. Soft water is free of hard minerals that cause hard water. Water is naturally soft (e.g rain water is soft) but it becomes hard when it passes through limestone or chalk and collects minerals from the surface of the earth. Or, in the case of your home picks up hard minerals from your water company’s treatment process. Hard water causes a lot of problems such as limescale. The more minerals in the water, the harder the water gets. The areas of eastern England as well as part of the US suffer from extremely hard water. If you live in an area with hard water, you definitely need a water softener, because it’s the only way soft water can be produced. 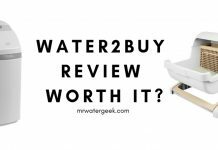 Tapworks is a brand that produces home water softeners and this review will help you decide if it’s right for you. 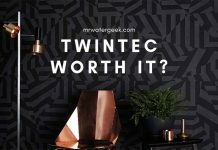 Why is Tapworks AD11 Better for UK customers? According to Oregon State University, hard water is water that is dissolved with high levels of minerals. Generally minerals like manganese, magnesium and calcium. The accumulation of these minerals can cause garments to turn yellow after washing, white limescale in your sink and around your pipes. It can also lead to drier skin, hair and cause higher heating costs due to the lower efficiency of your water heater. The university reports that 85% of American households have hard water problems. From the outside, a water softener does not seem to do much. But inside there is a lot going on. The work starts with a part of the machine that does almost all the work: the resin. According to Pennsylvania State University, resin is a material that resembles sand and is coated with positively charged sodium ions, with more electrons than protons. The hard water flows through the resin and exchanges its sodium ions (i.e. salt) for calcium and magnesium ions. That’s why a water softener needs salt. During the regeneration mode, a brine tank washes the resin, replaces the lost sodium ions and removes mineral deposits. Eventually, the resin consumes all sodium ions. This causes the water softener to change its regeneration mode. 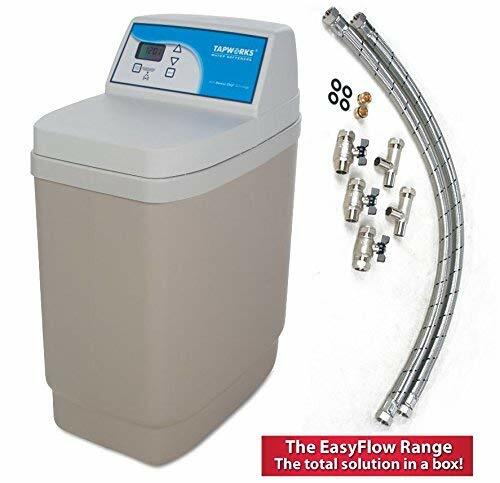 You probably do not have to know all of this or understand how a water softener machine works as all modern water softener models do this automatically. However, if you have an older machine then you may need to do this manually. The good news, however, is that you generally only need to add salt every 6 to 8 weeks. Maybe more if you need a lot of soft water. And this can also depend on several factors, such as the size of the device and the amount of water it uses. Like all manufacturers of water softeners, Tapworks does not just produce one type of water softener, but a range of water softeners. The range of Tapworks softeners is listed below. Keep in mind that the higher the number associated with the series, the greater the capacity model (this is usually the case with most models). These models are not necessarily the easiest to buy in places like Amazon. This means that you may need to contact the manufacturer directly to obtain or receive information about one of its authorized dealers. Ultra 9 – Compact water softener (up to 5 people). Tapworks AD11 – The most popular water softener (up to 7 people). Infinity – High softening capacity softener (up to 9 people). Tapworks NSC40UD1 (suitable for 9+ people). Commercial Water Softeners (suitable for a small business or light industry). 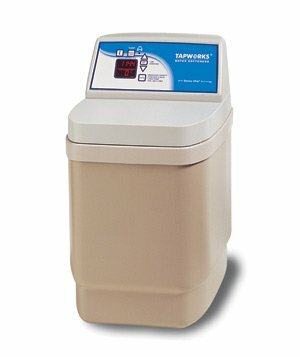 The Tapworks AD11 is by far the most popular selling water softener from Tapworks. This is because of its high capacity and high volume flow standard for non-ventilated systems. It is also very efficient as it comes with a genius chip technology that helps save both time and money. Tapworks also claim that the efficiency and effectiveness of the AD11 softener means that you benefit from reduced CO2 emissions. Strong salt storage cabinet with high density. When it comes to popularity and sales figures, Fleck wins hands down. Go on Amazon and see that it sells the most and has the highest rated reviews. Although Tapworks generally provides good water softeners, they are hard to find and buy online especially if you’re based in the US or outside of Europe. 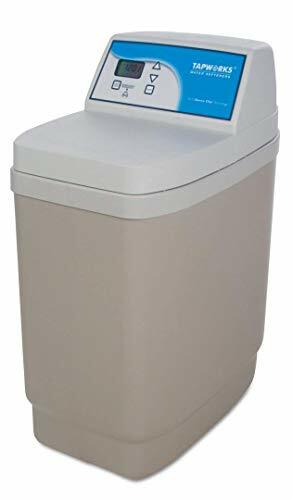 In the meantime, you can easily buy a Fleck softener today with free next day shipping, get an accredited Amazon plumber install it and get your old machine taken away. The fact that Fleck is the top selling water softener on Amazon also means that you can read all customer comments and unbiased reviews before you buy. Buying from Amazon also means that you benefit from Amazon’s world renowned tried and tested return policy if anything goes wrong. However, Fleck is a little bit more expensive and harder to find for those in the UK. Also, Amazon’s plumbing services are not currently available to UK customers. This means that AD11 is better for people located in the UK. It can deal with very hard water and provide enough soft water for the average family of 2-4 people. However, if you have a bigger home then you can get a model with higher specifications like the BWT WS355. Tapworks water softeners are very easy to install. A person with basic plumbing skills can do this with all the free information that is available online. They are also very easy to configure and maintain. AD11 offer the best value for money with prices starting at around £430, which is cheap compared to the original £650 price of an average water softener from other brands. These are low-maintenance machines that normally take care of themselves. Tapworks models are designed to consume less water, which also means lower operating costs. Tapworks are one of the most popular water softener models sold today in the UK. This means that there are many free online help pages that deal with technical issues, troubleshooting and free manuals. Many more than you will find with other softener brands. 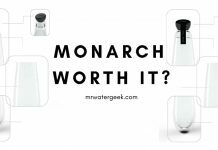 Previous articleEddy Electronic Water Descaler: Is It WORTH It?